Is it drama? Is it sci-fi? Or is it just a mystery? 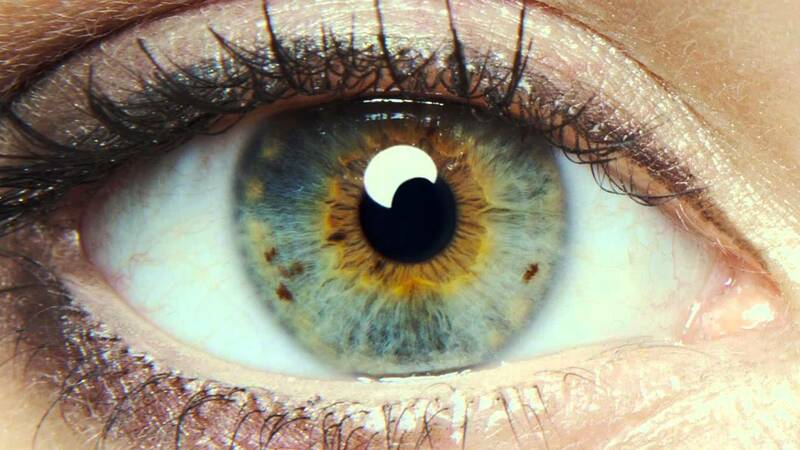 Watching writer / director Mike Cahill’s film I Origins, it’s difficult to decipher exactly what it’s aiming to be. Ian (Michael Pitt) is a molecular biologist with an all-consuming Interest in the human eye, and its possible role in the wider sphere of human evolution. For years he has also spent much of his spare time photographing the eyes of everyone he meets. One night at a party he encounters Sofi (Astrid Bergès-Frisbey), an enchanting and exotic model whose deep religious convictions put her at odds with Ian and his scientific theories. Despite their differences the young couple find themselves falling in love and decide to get married. But a tragic accident cuts short their happiness altering the course of their lives forever, with far reaching repercussions not only for them but also for their wider circle of family and friends. Evolution is a difficult topic for any filmmaker to tackle. Being – or not being, depending on your point-of-view – such a fundamental part of so many people’s beliefs, it’s always going to be a thorny core around which to base a work, the outcome of which cannot possible please everyone. On this particular issue I Origins tries to some degree to be all things to all men, by remaining middle-of-the-road as to the validity of either the scientific or religious perspectives on the issue. Given the scientific angle of the story it’s inevitable that the viewpoint of Ian, and his lab assistant Karen (Brit Marling), would come across strongly. To the film’s credit however, it gives equal time and credence to the religious views of the ethereal Sofi who flits briefly through Ian and Karen’s lives, forcing them to question the solidity of their beliefs in the process. The fact that the power of humanity is overwhelming during the film’s conclusion, simply reiterates the point that there may indeed be things out there which are beyond human comprehension: perhaps there is a degree of arrogance for anyone to come out and say without doubt that their views are more right, or wrong, than anyone else’s. I Origins is a film with a strong otherworldly atmosphere, though not necessarily in the way one might expect. Promoted as a sci-fi drama, what unfolds on screen remains surprisingly grounded in reality. Though the theme of tinkering with nature is basic to the plot, the possibilities of human cloning that this throws up remain, on the whole, the stuff of fantasy with no bizarre creatures created in the process. Instead everything is reassuringly recognisable as the story plays out amongst the surroundings and bustle of everyday America, and later in India. Any possible sense the film may have of disconnection from reality comes from its look, shot as it is in muted tones and with an air of bohemian decadence convincingly conveyed by Pitt, Bergès-Frisbey and Marling in the central roles. Whether watching I Origins results in a wholly satisfactory experience is debatable. One thing that is never in question though, is the film’s open-mindedness. Which can only be encouraging, considering that it deals with issues that effect us all.